New infographic! 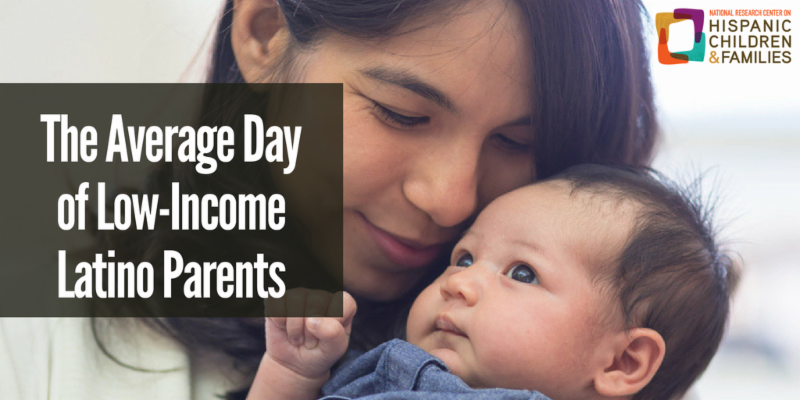 What does an average day look like for low-income Latino parents? Check out our newest infographic, plus highlights in the field. All children benefit from time spent with their parents, whether it’s reading, playing, or engaging in some other activity. We also know that the activities of daily life—including work and work schedules—shape the quantity and quality of time that mothers and fathers have available to spend with their children. ﻿Our latest infograhic takes a look an average day of a Latino parent and compares it to days of their white and black peers. We find that, in a typical day, low-income Latina moms spend over three hours in housework —more than low-income white and black moms. And, low-income Latino dads spend more time in paid work, but less time with their children than low-income white or black dads. You'll also learn more interesting stats, including what parents are doing when they spend time with their children. Don't forget to share via Twitter! 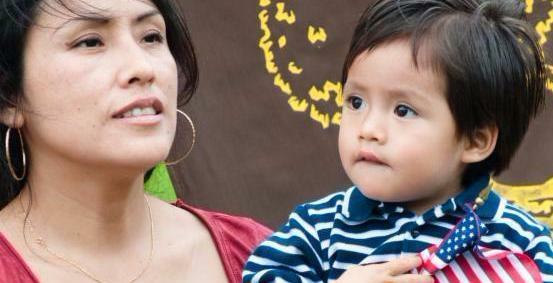 Roughly 40 percent of children ages 3-5 with at least one immigrant parent are not enrolled in preschool or kindergarten. Check out the Urban Institute's interactive tool to learn about 10 key characteristics of these children. 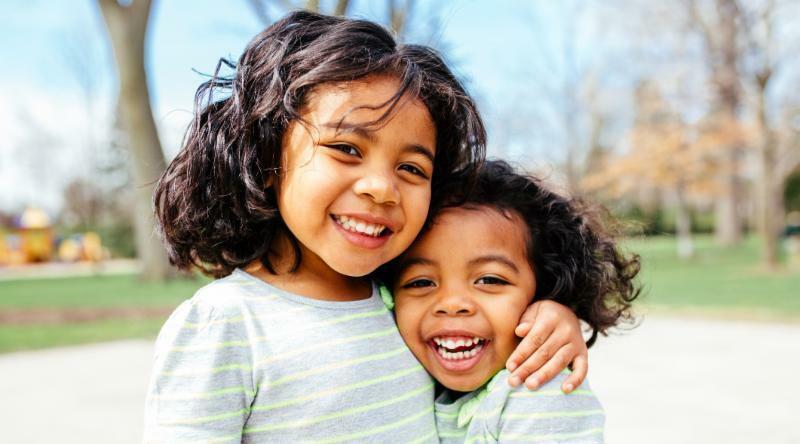 This report from the U.S. Government Accountability Office (GAO) explores the state of child well-being in the United States and experts' views on policy considerations when addressing child well-being.